I wasn’t a huge fan of the book or the movie version of ‘Like Water for Chocolate’, what kept me intrigued was the elaborate mole that the main character was making throughout. Like other great food movies (think ‘Babette’s Feast’) the food was the star. Not in a gross and gluttonous way like ‘Le Grande Bouffe’, where the characters are eating themselves to death, or a murderous way like the French movie ‘Delicatessen’. Nor in a sinister way like Hannibal Lecter smacking his chops over a nice piece of (human) liver and a glass of Chianti in ‘Silence of the Lambs’. No, in this story good food is to be cherished, it is inextricably bound up with love and pleasure, it is an affirmation of life, a form of therapy and a kind of alchemy. I have been making my own mole for a few years now. Every time I make it is slightly different though it always contains chillies and cocoa. I’m constantly reading about new versions (it seems that no two moles are the same) so I’m often trying a new ingredient. Here is my latest version. Heat oil in a heavy based fry pan. Gently saute onion, garlic and chopped jalapeno chilli. Add herbs, spices and cocoa. Cook gently for about 1 minute or until fragrant. Add diced tomatoes and chicken stock (if chicken stock is salty don’t add any salt at this point, you can always add it at the end). Simmer gently for 45 mins. Add ground peanuts, simmer gently for a further 15 mins. Season and finish with finely chopped mint or coriander. Serve spooned over grilled chicken, beef or prawns. Ah, the old ‘Mexican Radio’ by Wall of Voodoo, it takes me back. In the 1980s, when that song came out, we thought that Mexican food consisted of tacos, enchiladas and nachos drenched in cheese. In the decades since I have discovered that there is much more to Mexican food (and Latin American food in general) than these Tex-Mex favourites. Though cheese or queso is still used, it is not necessarily the stringy, molten mess that we know and many dishes are served with a healthy salsa or salad. In Mexico, as in the rest of Latin America, the ingredients are a mixture of ‘old world’ (foods brought by the European conquerers) and ‘new world’ (foods indigenous to the Americas). From the ‘old world’ came herbs like oregano and basil, onions, lettuce and meats like pork and beef. From the ‘new world’ came tomatoes, avocados, chillies, maize, cocoa, beans and turkey. 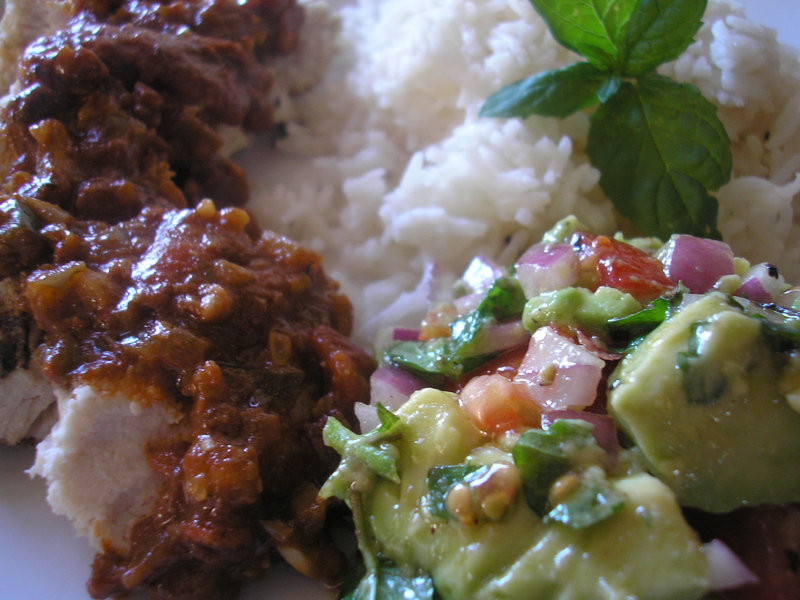 Most meals are served with tortillas for scooping up the various stews and salsas. 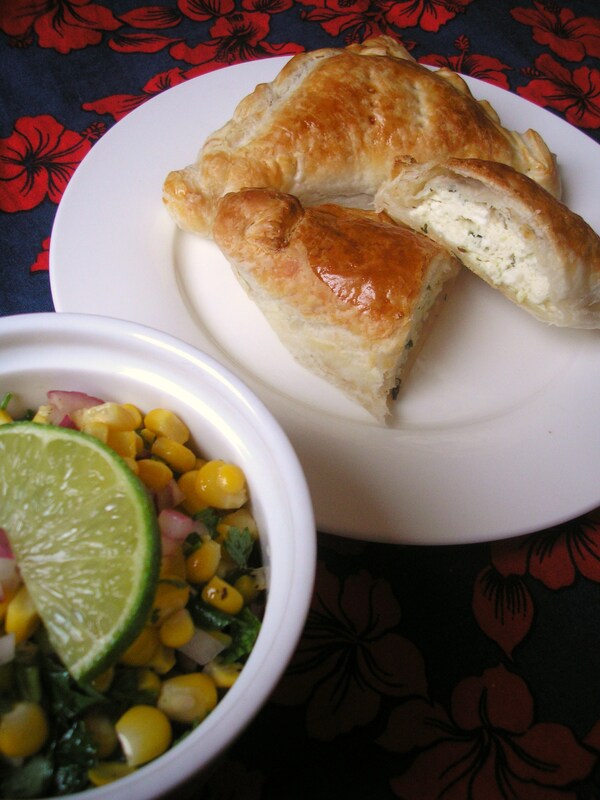 Two of my favourite dishes are empanadas (little cheese or meat pastries) and corn salsa. 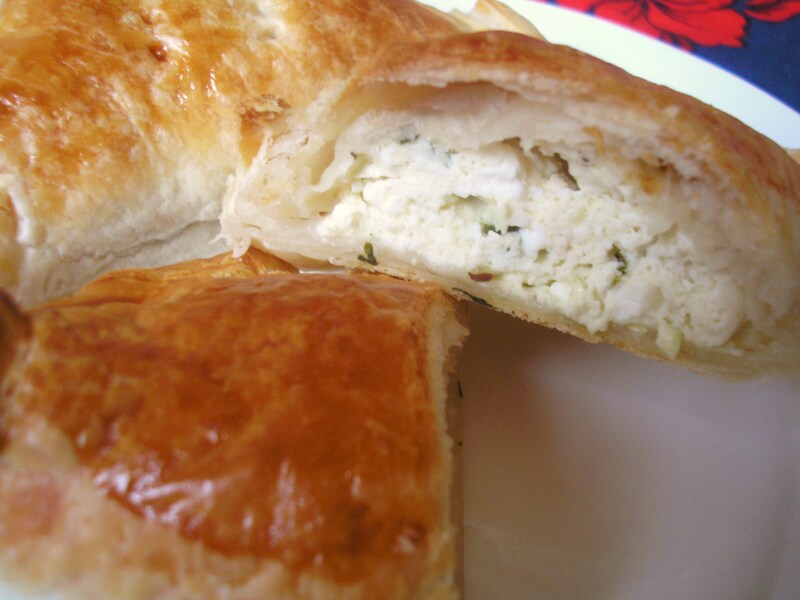 For the cheese filling: mash the two cheeses together, add the egg, chopped jalapenos and coriander. Mix well, season with pepper. For the meat filling: saute the onion in a pan, add garlic and spices, then meat and toss until well browned and separated. Add tinned tomatoes and 1/2 cup water. Season well with salt and pepper. Bring to the boil then reduce to a simmer, cook until most of the liquid has evaporated and the mixture is quite dry. Allow to cool. Chopped hard boiled eggs or chopped grilled chorizo sausage can also be added to the beef filling. Cut each pastry sheet into four squares. Moisten the edges of each square with ‘egg wash’ (beaten egg with a dash of milk). Place a spoonful of the mixture on the pastry, crimp the edges together, making sure your pastry is well sealed. Place filled empanadas on a tray lined with baking paper. Bake at 200c for 25-30 mins. until puffed up and golden brown. Remove husks from corn and strip the kernels from the cob with a sharp knife. Place in a saucepan with enough cold water to just cover. Bring to the boil, remove from heat and drain corn. Rinse with cold water to stop the cooking process. Mix in a bowl with all the other ingredients. Chopped tomato or drained and rinsed canned red kidney beans can be added to this salsa if so desired. One of the places we love is Banff at 145 Fitzroy St., St Kilda. 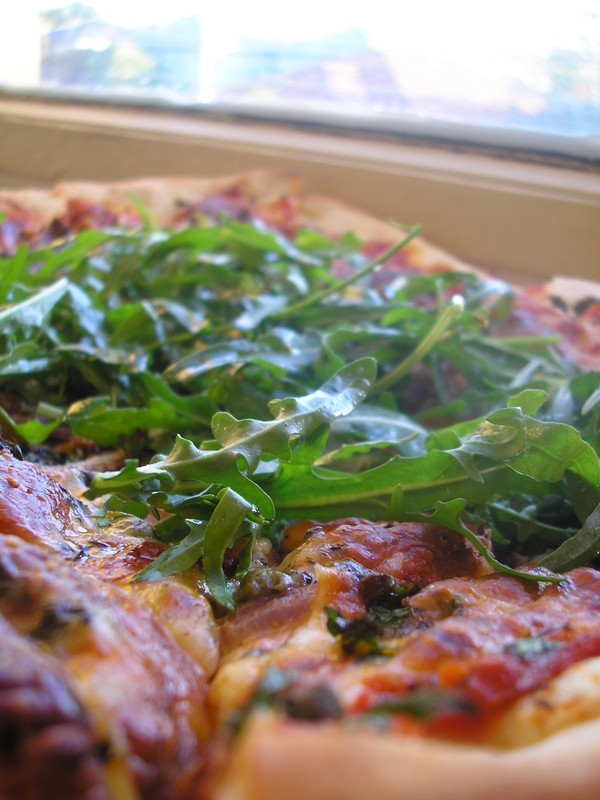 It has a nice atmosphere, friendly staff and, on weekday lunchtimes, very cheap pizza. 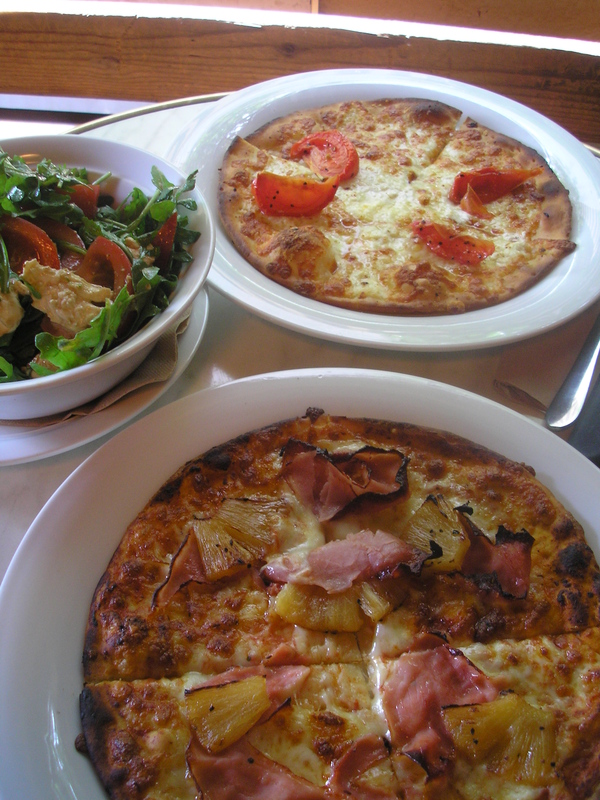 If you choose from the ‘In House’ menu on a weekday between 11am and 5pm the pizzas are 5.50. There is quite a large range from a twist on the classic ham and pineapple to the four cheese and the more interesting squid with capers and chilli, finished with rocket and lemon. All have a nice thin, crispy crust. For those who want to spend more there is a ‘Special Pizzas’ menu with a range of gourmet pizzas including Moroccan lamb, focaccias, pastas, salads and desserts. Most are around the 10.00 mark or just above. Throw in good coffee, 2.50 pots of beer and cheap mixed drinks (look out for happy hour) and you have a good cafe where you can take anyone, even the most impecunious of your student friends without worrying too much about the bill. We often make our own pizzas at home and these are even cheaper. 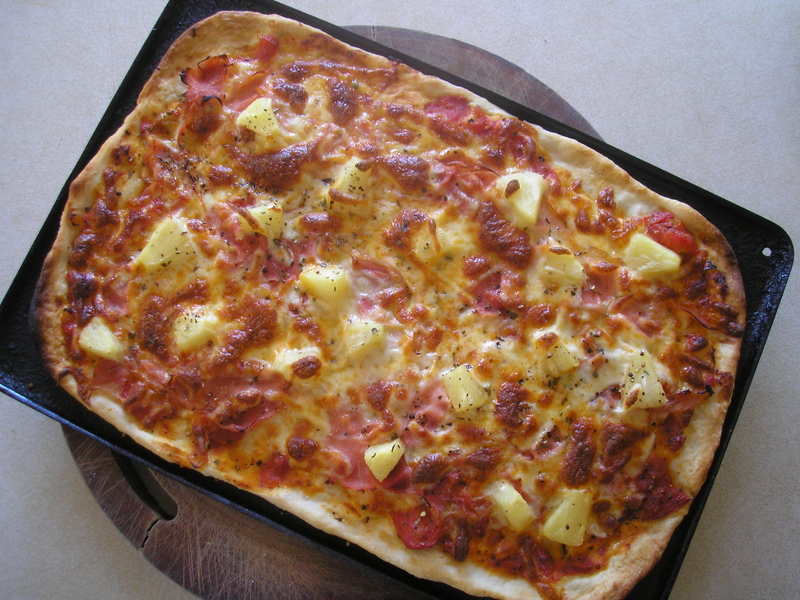 Here’s my recipe for basic pizza dough. Put flour in a large bowl, mix in yeast, sugar and salt. Make a well in the center and add olive oil. 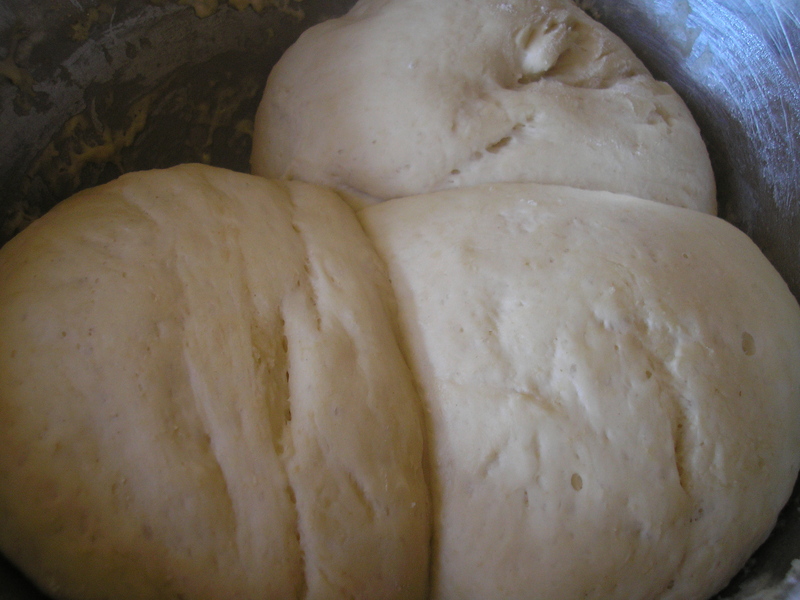 Gradually add in water mixing with your hand until the dough has incorporated all the flour. Turn onto a floured bench and knead until the dough is smooth and elastic, you will be able to feel when the dough is right (usually after 5-10 mins. kneading). Replace the dough in the oiled bowl and cover with a clean tea towel. Put in a warm place until it has doubled in size. Divide into 4 portions. Preheat oven to 250C. Oil an oven tray and heat it in the oven for a few minutes (or use a pizza stone). Roll or press a portion of the dough onto the tray, try to make it quite thin as this makes for a less ‘bready’ crispy crust. Smear with tomato sauce, I make mine from a sauteed chopped onion, 2 cloves garlic, tinned diced tomatoes, dried or fresh basil, a half tsp of sugar and salt and pepper. Allow to simmer on the stove until reduced by half. Cover with thinly sliced mozzarella cheese. Top with whatever you desire. Some suggestions are olives, artichokes, roasted capsicums, thinly sliced smoked leg ham, fresh pineapple,chorizo sausage, feta cheese, goats cheese, herbs etc. The combinations are endless the main rule of thumb being to stick to a fairly simple combination of toppings as less is definitely more with pizza. Cook for five minutes, turn and cook for a further 5 mins until brown and bubbling. Eat. I was browsing in a local bookshop the other day when I saw a copy of Marguerite Duras’ The Lover on the shelves. I remembered reading this book many years ago, loving Duras’ beautiful spare style and the mysterious ‘Indochine’ in which the book is set. At the time I didn’t know much about the former French colonies in the region, among them Vietnam. I was a child when the Vietnam war ended so all I knew of the country was that there had been a horrific war and that mass protests around the world had helped to end it. In the 1980s we had a lot of migrants fleeing from war torn Vietnam and settling in Australia, in time, their cuisine followed. 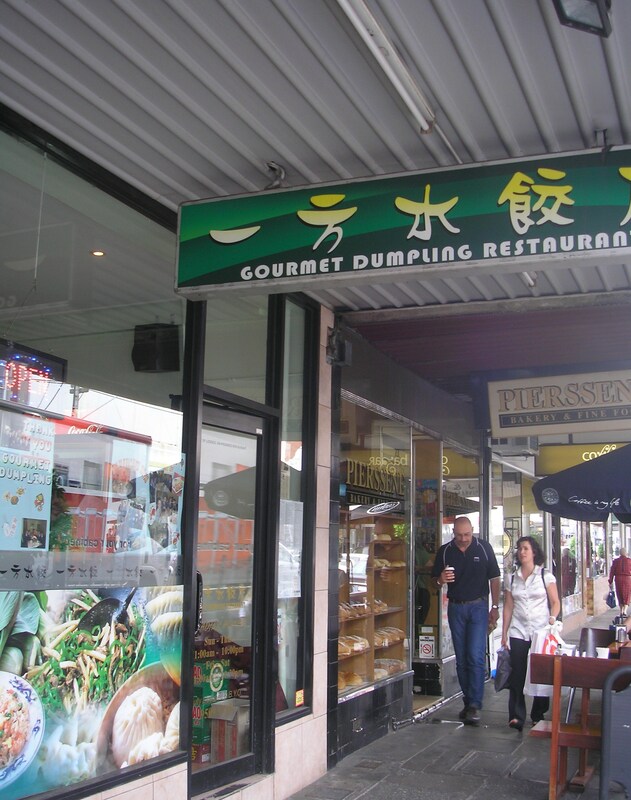 Vietnamese restaurants sprang up in the Melbourne suburbs of Footscray, Abbottsford and Springvale along with fantastic Vietnamese grocery stores where you could obtain all the weird and wonderful ingredients you needed to make your own Vietnamese food at home. In winter I love to make pho, a Vietnamese noodle soup that is all about the complexity of the broth. 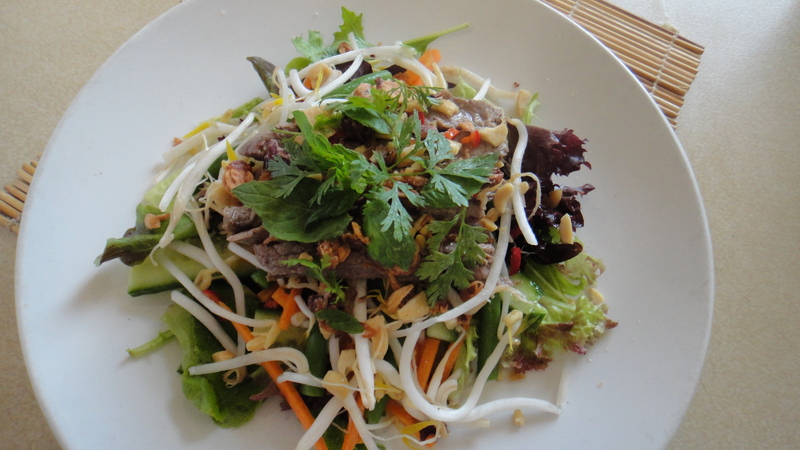 In summer I make my own version of a Vietnamese chicken or beef salad that is dressed with the traditional hot, salty, sweet, sour dressing. Mix all of these together, tasting to make sure you have the balance right, if too strong you can add a little water. For each serving pile salad leaves on a plate followed by a handful of cucumber batons, a handful of bean shoots, a handful of carrot and a handful of green beans. Mix through some torn mint and coriander. Place some sliced meat on the salad, scatter peanuts and fried shallots on top, along with some more torn mint and coriander to garnish. Pour over a generous amount of the dressing. Serves 4. Other things that can be added are blanched vermicelli noodles, finely julienned green mango or finely julienned red capsicum. If you don’t have enough dressing you can make up some more, just keep in mind the hot, salty, sweet, sour balance. I have tried spicy Dan Dan Noodles at a few restaurants and have enjoyed them every time. After the third or fourth try I thought I might see if I could make my own. I looked at some books and the internet (thanks Tony Tan) and found that it is quite a common Chinese favourite. I cobbled together a recipe and headed for my local Asian grocer. The shop I go to is the Asian Grocery at 1146 Glenhuntly Road, Glenhuntly. I was browsing around for the ingredients and doing well until I started looking for the preserved vegetables, I wasn’t sure which ones to get. The friendly grocer came to my rescue and as soon as I mentioned I was making Dan Dan Noodles he zipped around the shop providing me with everything I needed. This is why it is good to establish a relationship with your food providers (something you don’t get when you visit the supermarket). 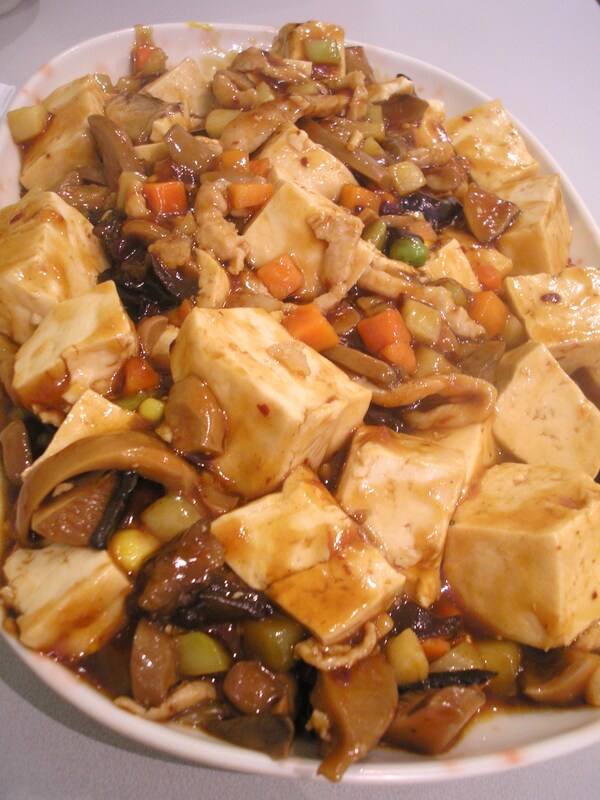 I came home loaded up with dark soy sauce, black vinegar and those preserved vegetables, here is the recipe I made. Place these ingredients in a bowl and marinate for twenty minutes. Heat the oil in a very hot wok. 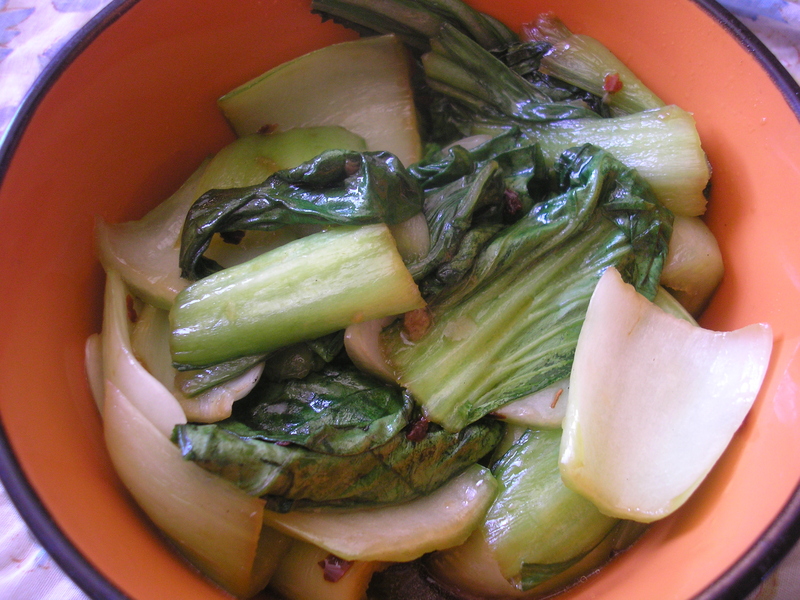 Add preserved vegetables and stir fry for a minute or two ( be careful, they spatter a lot). Add marinated mince and stir fry until the mince is lightly browned and broken up. Add Sichuan pepper followed by Shaoxing wine, light and dark soy sauce, chilli oil and black vinegar. Stir fry for a minute or two then add the chicken stock. Simmer for ten minutes. Cook udon or flat rice noodles according to directions on packet. 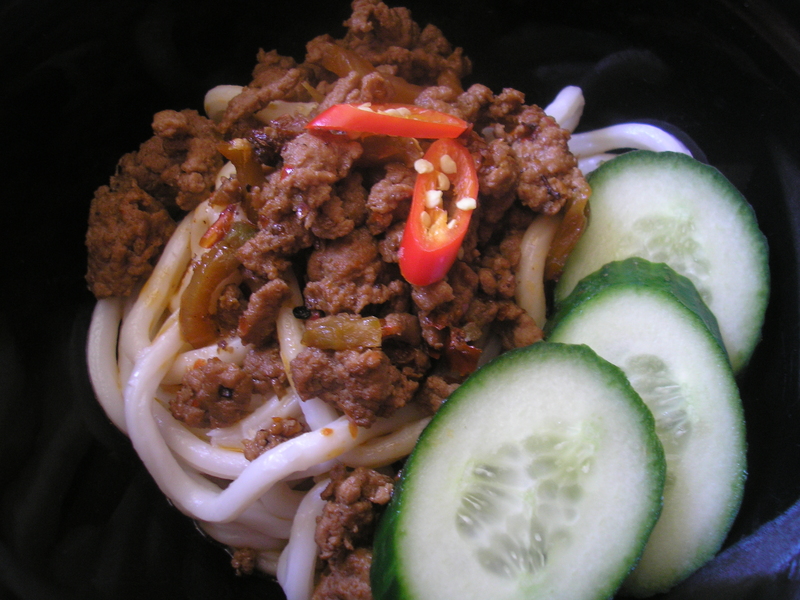 Place a generous amount of noodles in each serving bowl and top with the mince mixture (making sure you give everyone plenty of the delicious sauce). 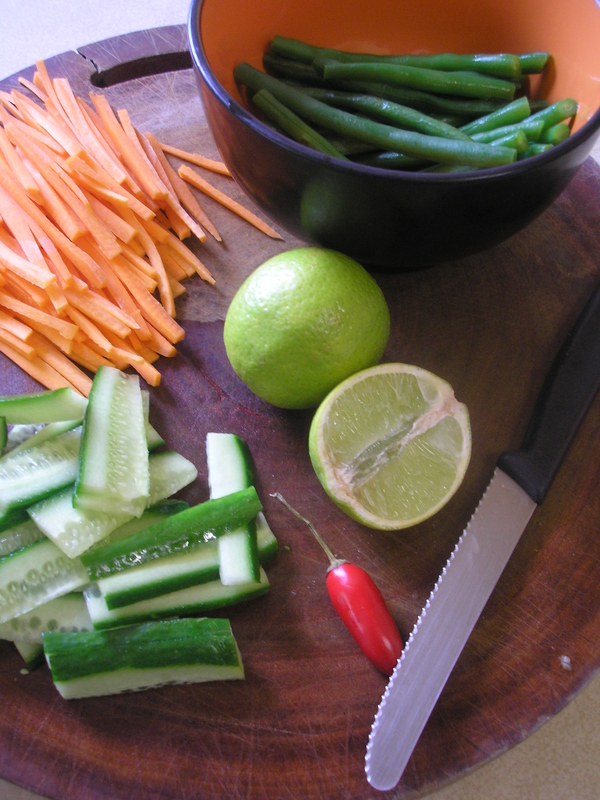 Garnish with sliced cucumber and chopped spring onions. 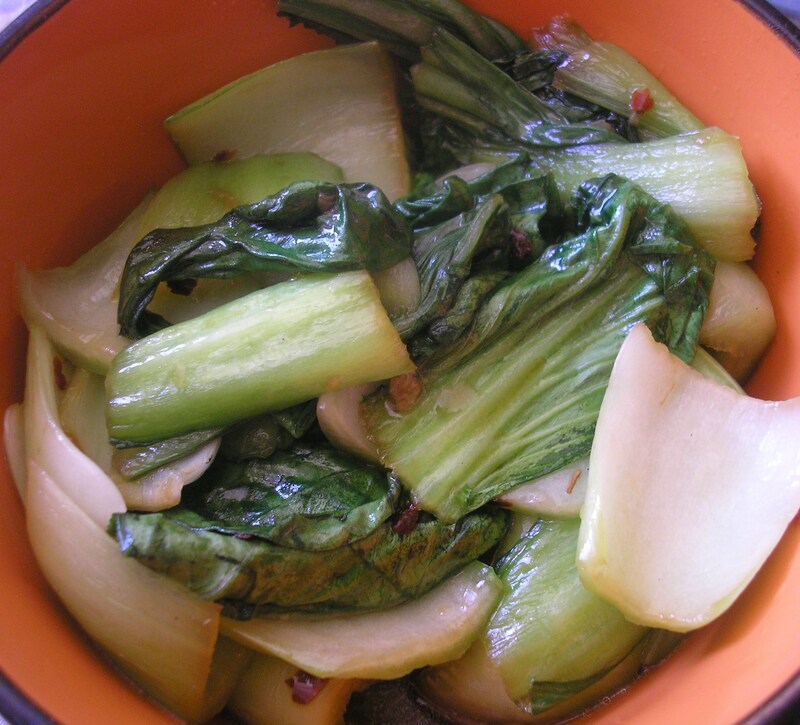 We served ours with pak choy sauteed in oyster sauce. 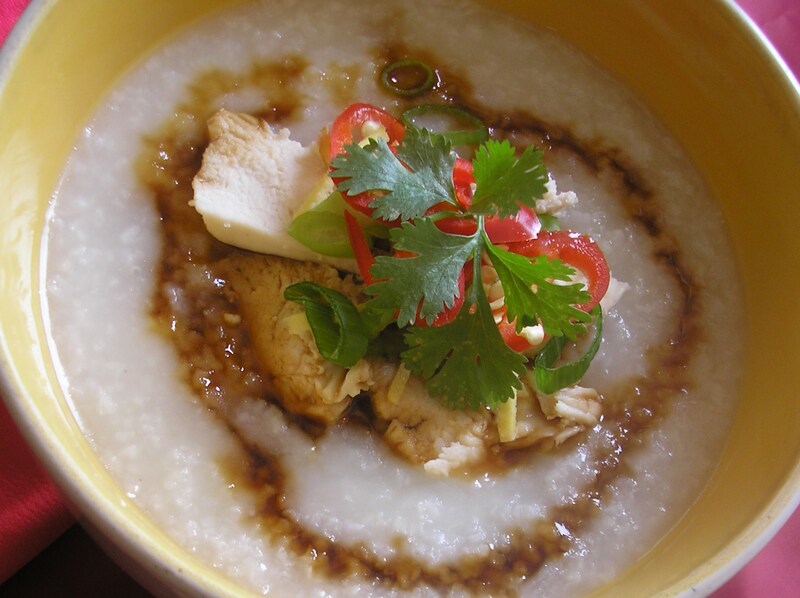 Around the world there are many variations on plain old porridge. I immediately thought of the Chinese version, rice congee. It takes an hour and a quarter to cook so I suspect ‘no time for congee’ is a common refrain in most Chinese households as they rush off to start their day. Perhaps they make it the night before (or use a rice cooker). Here’s how I made mine. Place chicken legs in a pot and add enough cold water to just cover, bring to the boil and boil furiously for 3 minutes. Remove chicken legs, discard water and rinse pot. Replace chicken legs along with rice, water and aromatics. Bring to the boil and then reduce to a very low simmer, stirring occasionally. Cook for 40 mins. Remove chicken legs and add chicken breast. Simmer for a further 25 minutes. Remove chicken breast and simmer for a further fifteen minutes. 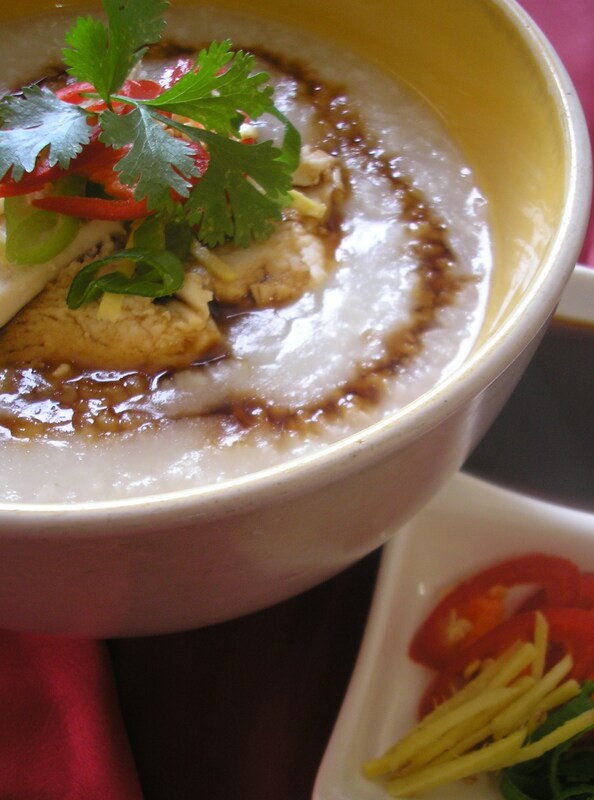 Ladle congee into deep bowls, swirl through soy sauce to taste. Top with slices of chicken breast and leg meat along with some shredded ginger, spring onion, chili and coriander. The only secret to making good porridge is to use whole rolled oats. Buy these and, if in doubt, follow the directions on the back of the packet. Top with honey, brown sugar or maple syrup and any fresh fruit you may have (I like banana and milk poured around to form my own ‘island’).